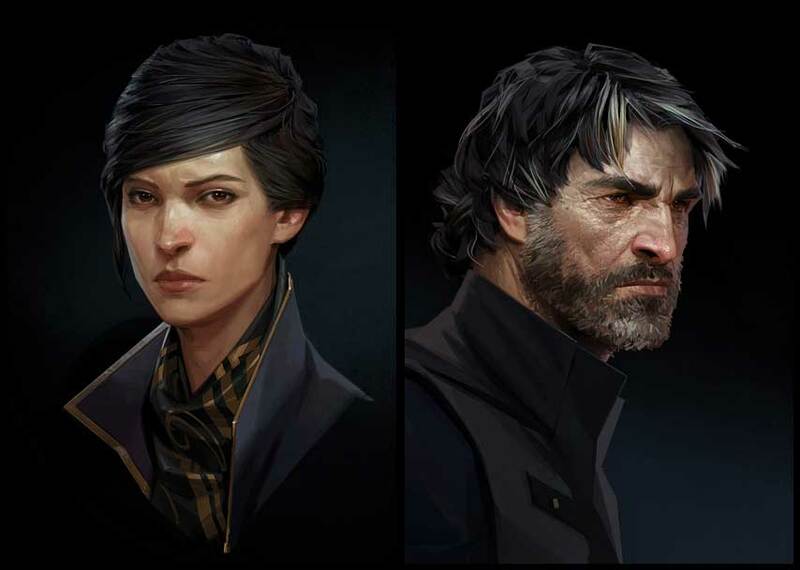 Dishonored 2 introduces two playable protagonists, and even though you spend the whole game looking out of their eyes, you should never have any doubt as to which one is the hero. 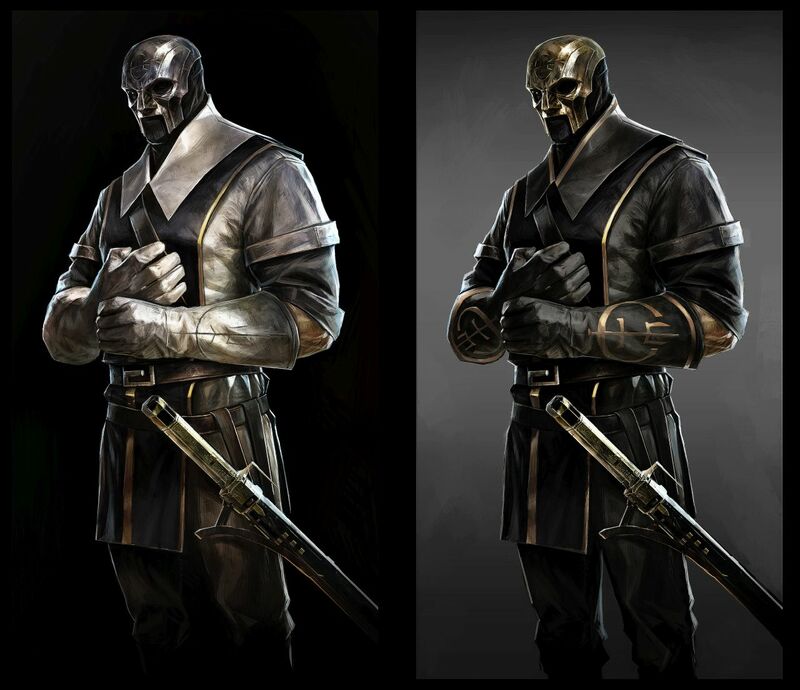 Promotional art for the first Dishonored usually focused on Corvo’s mask, but this visual theme raised a problem for Arkane: it didn’t communicate the fact that Dishonored 2 features two different playable characters. How do you show that it’s Emily and not Corvo (and vice versa) when their faces are hidden? “It was important to show that we have two main characters because this is one of the main features of the game,” Arkane art director Sebastien Mitton told us. 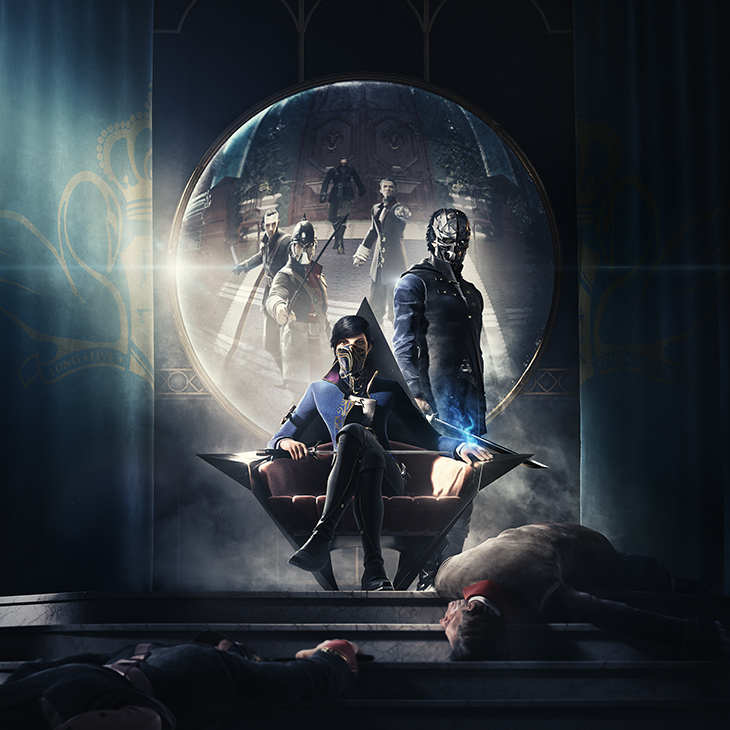 Looking at Dishonored 2’s promotional and concept art, we can see how Arkane and Bethesda solved this issue – Corvo sticks with his iconic mask, while Emily uses a scarf, and we usually see both characters unmasked. But the differences don’t end at their choice of face covering. “As we developed each character’s own set of powers and weapons, we decided to differentiate them a bit more in the distance, not just while looking at their face,” Mitton said. That’s likely why we see Corvo standing protectively behind the throne while Emily sits in it; it immediately tells the viewer something about their relationship. In Dishonored 2 Corvo is more than the vengeful assassin of the first game; he’s an active father, a bodyguard, and the Royal Protector, a power in the empire. 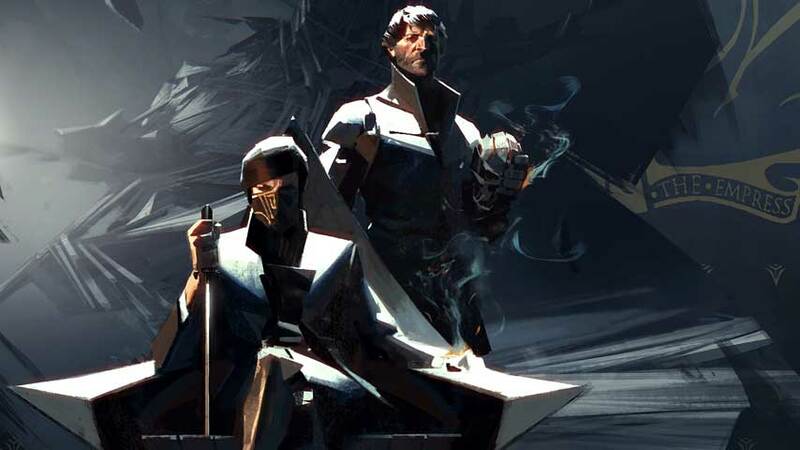 Although Arkane worked hard to make Corvo a cool-looking protagonist for the first Dishonored, this changing role gave the team the opportunity to give him a makeover. 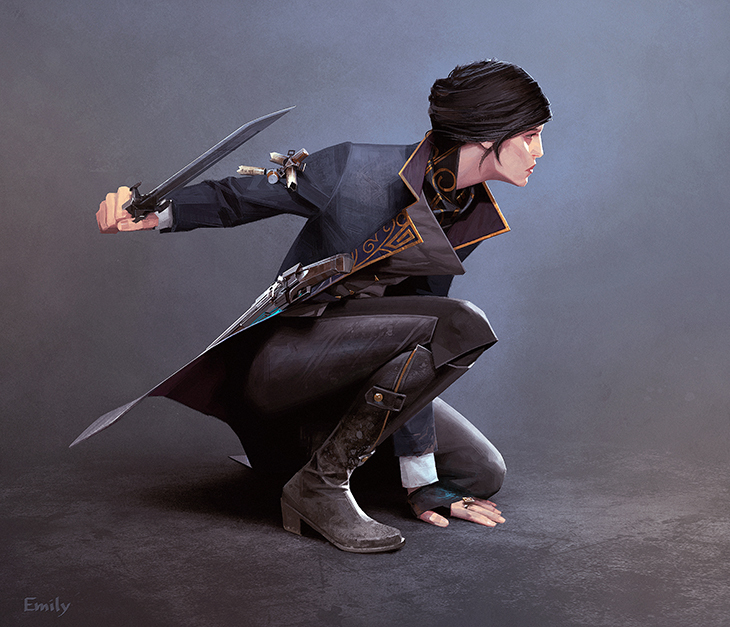 “I was not super happy with the design of the outfit in the original Dishonored. 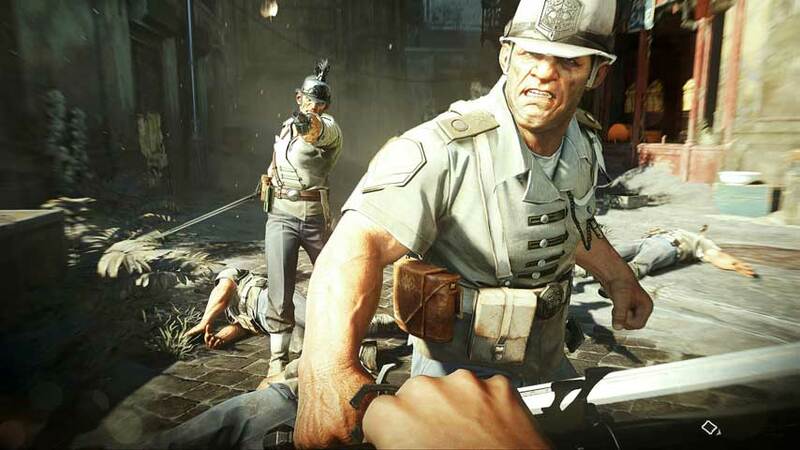 This is why we decided to redo it for Dishonored 2,” Mitton said. “It makes sense, because 15 years later, I don’t see him in the same outfit. We focused a lot on him. To me, the mask was a good tool for the marketing, but to me the mask was just an accessory. Dishonored 2 and its precursor are frequently described as steampunk (or whalepunk if you will), although Arkane itself has tended to say Victorian in describing the fashion and design. Because it’s a fantasy world it doesn’t have to have a strict real world equivalent, and Mitton said Arkane drew on references from the early 1800’s to the early 20th century. “It’s the clash of these periods that creates a new style in the game,” he said. “It’s not all that Victorian look – maybe for the aristocrats, but for all the other characters it’s early 20th century in Karnaca. “For example, you have higher cut pants, that’s one element. We tried to be not too modern otherwise it doesn’t work in the game. As well as clothing, Arkane’s character design focuses on anatomy, gestures, and posture to differentiate important characters. “We’ve aged Corvo and we’ve [adjusted] his anatomy, his haircut,” Mitton said, returning to him as an example. “The fact that he’s an older assassin now and that he’s the bodyguard – this has to be reflected in his face. Speaking of anatomy, as well as looking like an oil painting Dishonored and its sequel have a unique anatomical style to characters. 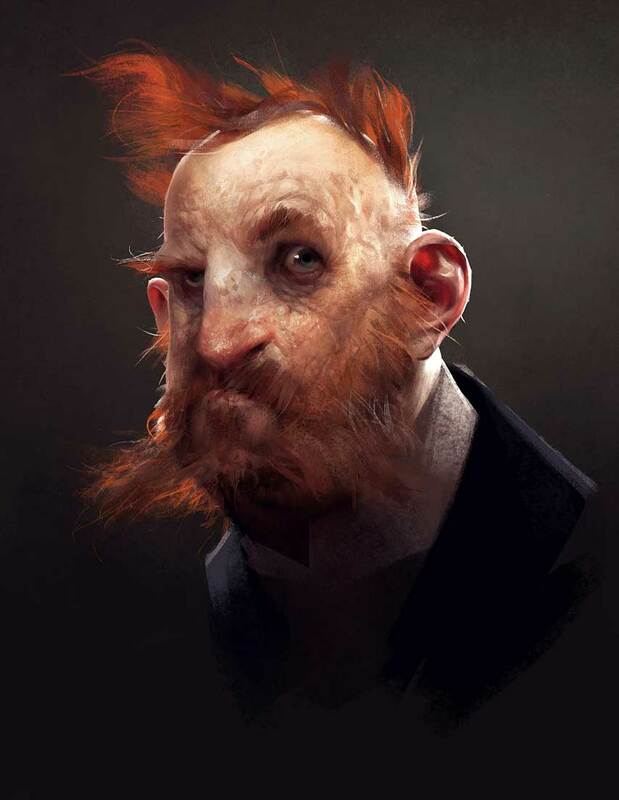 Mitton said Arkane deliberately emphasises unique features in anatomy to ensure characters are distinct from each other, and rather than agree with my description of the style as caricatured or exaggerated, he called it realistic and said it draws on real life. “We did casting, looking at photography and doing photo references ourselves. Like walking in the streets in London, and taking photo references of workers on the street,” he said. “We need quirky characters that you will fight, and that it’s important that they have worker hands just because you see them really close and because they can beat you in the face. It’s important to have realistic characters. Mitton pointed out that Corvo has the same big “worker” hands as many of the grunt enemies, because he too grew up on the streets of Karnaca. Emily, meanwhile, is young and sheltered, so she appears more refined when compared to her foes. Not too many characters are raised in royal towers, though, so most other characters lack this quality. Mitton reminded me to use the Heart, to see the beauty inside people rather than focus on their outer features. This is good advice in Dishonored 2, and also everywhere else.